A small laminated carry bag available in either white or black with strong woven polyester handles. 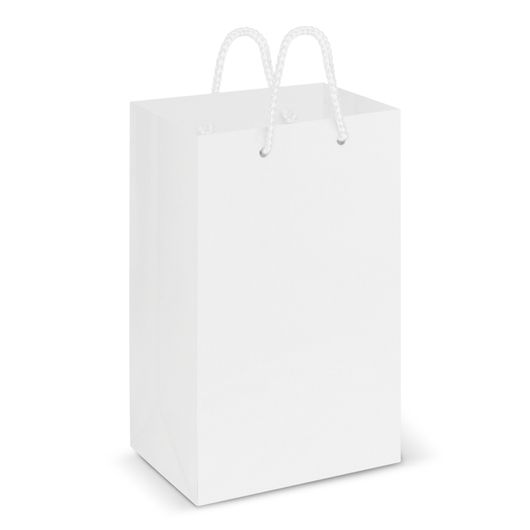 These are a small sized paper carry bag with strong woven polyester handles. 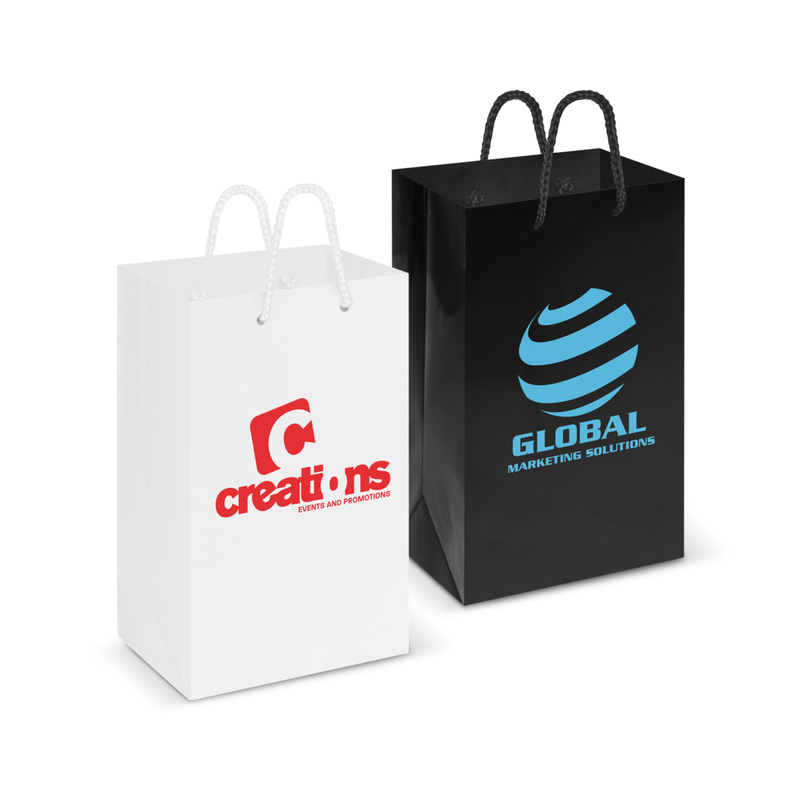 They have an excellent branding space and are manufactured withy 157gsm laminated art paper. 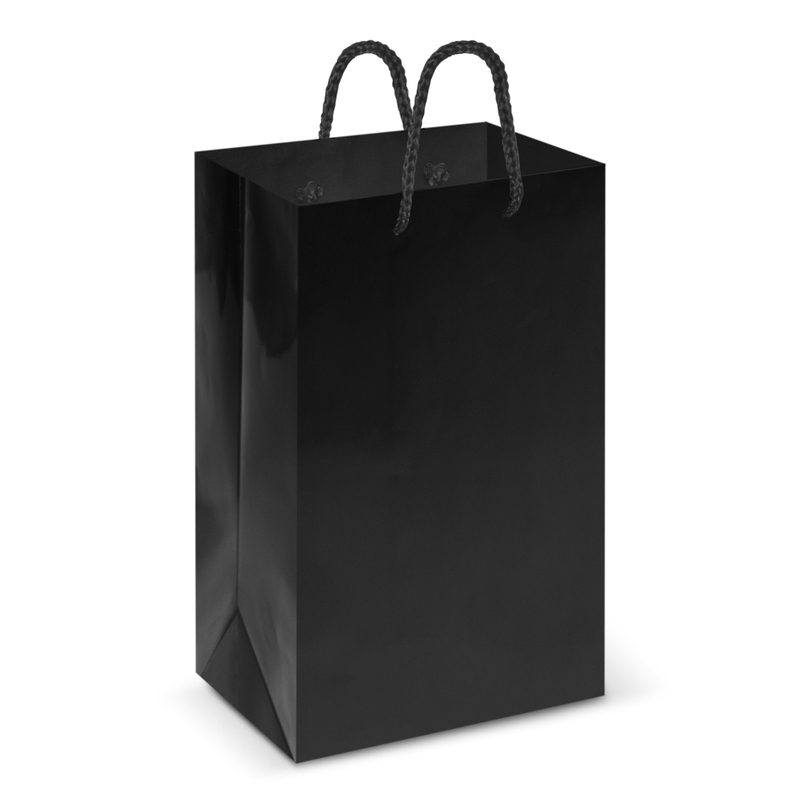 Great for retail or to make a goody bag for your other promotional items.